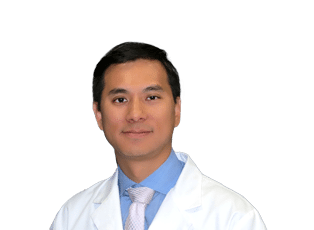 Dr. John Hsu is a Doctor of Osteopathic Medicine and a member of The American College of Osteopathic Surgeons, The American Osteopathic Association, and The American Academy of Cosmetic Surgery. He received his Doctor of Osteopathic Medicine from New York College of Osteopathic Medicine and his Masters degree in Health Policy & Management from New York University. Dr Hsu’s extensive post doctoral training includes a Fellowship in Plastic & Reconstructive Surgery from the Philadelphia College of Osteopathic Medicine, and a Residency in General Surgery from Wykoff Height Medical Center, which is an affiliate of the prestigious Weill Medical College of Cornell University. Dr. Hsu brings to Sono Bello extensive experience from acclaimed hospitals and universities, including Harvard Medical School / Beth Israel Hospital, UCLA Medical Center, and The Hospital for Special Surgery in New York City. Dr. HSU is an ACOS poster winner as well as a member of the Golden Key National Honor Society. Married with two children, he speaks both English and Mandarin Chinese, and enjoys golf, tennis and classical music.